But still it is patented. I found some measurements of 851W and it seems not very good at low frequency handling judging on square wave tests. That sloped response at 100Hz looks strange, it should be flat not sloped. 1kHz response looks perfect while 10kHz response seems a little "upset" with that strange thing happening at the front slope. But as you need app 5 harmonics for the square wave to look nice I don't see much point in testing square wave response at 10kHz except maybe to test stability of the response. Btw, this what tester said is something completely wrong ("The 100Hz square wave shows the tilt I’d expect as the result of a frequency response that does not extend down to d.c. "). To reproduce a 100Hz squarewave you don't need frequencies below 100Hz, so I really have no idea what he's talking about. I wonder if he has. The sloped response of the 100Hz square wave is a result of the amplifier rolling off slightly in the low frequencies. Looking at the frequency response graph, the amp is 0.2dB down at 20Hz, which won't be audible. 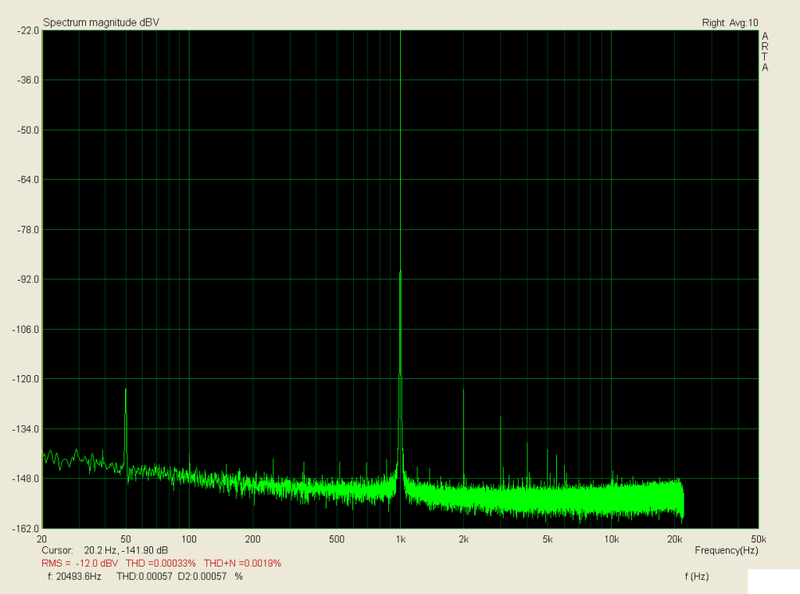 There is some discrepancy between the FR and 100hz square wave test to my eye. Could be. I think it's just due to the scale they've chosen (which isn't shown). The sloped response of the 100Hz square wave is a result of the amplifier rolling off slightly in the low frequencies. Why would that be? Amp is not playing 20Hz when you feed 100Hz square wave to it, right? Isn't it playing 100Hz sine and a bunch of higher harmonics all up to the upper frequency limit (in theory it would be infinite)? The high-pass filter, even though its corner frequency is below 100Hz, affects the phase response of the output at 100Hz (and above). That has nothing to do with -0.2dB at 20Hz, right? And why would phase shift from the filter impact amplitude response of the 100Hz base tone compared to it's higher harmonics? And even if that would be the case I don't think you would get straight sloped line..
Where is that high-pass filter implemented, in amp itself or..? By filter, I don't mean something that is necessarily deliberately put there via passive components or DSP etc. I just mean the rolling-off frequency response in the bass. That has nothing to do with -0.2dB at 20Hz, right? And why would phase shift from the filter impact amplitude response of the 100Hz base tone compared to it's higher harmonics? It doesn't impact the amplitude response at 100Hz. It just affects the phase response. It means that 100Hz arrives later than 101Hz, which arrives later than 102Hz, etc. EDIT: @Krunok have a look here for a fuller explanation. BTW I'm not sure I'm right here. It depends on the scale of the graph, which is not shown. I'm just saying that the rolling-off bass response is the best explanation. Frequency response of 100Hz square wave signal is not in any way impacted with the rolling-off frequency response of 0.2dB at 20Hz as there is no 20Hz component in 100Hz square wave signal. The same goes for 101Hz, 102Hz and so on, so phase shift at those frequencies is irrelevant. I also doubt that such amp has uneven phase response at those frequencies. There's a detailed description here. Hopefully it helps. In particular look at Part 3, especially figures 6 and 7 and the explanations around them. Here's another good bit of info on the topic. Description is there, but no explanation why would the frequency reposnse of 159Hz signal affect the 1kHz square wave is given. Description is there, but no explanation why would the frequency reposnse of 159Hz would affect the 1kHz square wave is given.